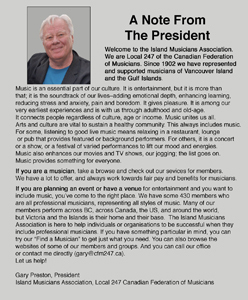 The Island Musicians Association is Local 247 of the Canadian Federation of Musicians. If you hire or promote music - use the professionals of L247. If you are a musician, why go it alone? Join the pros, be a pro. Canadian Creative Industries Code of Conduct. To date, forty-two groups have signed on to the Code, acknowledging their responsibility to build safe, respectful workplaces, and committing to improving and implementing policies to keep the music community safe. If you are interested in learning more, go to Read The Code. Use our Find Musicians service to tell us what you are looking for. 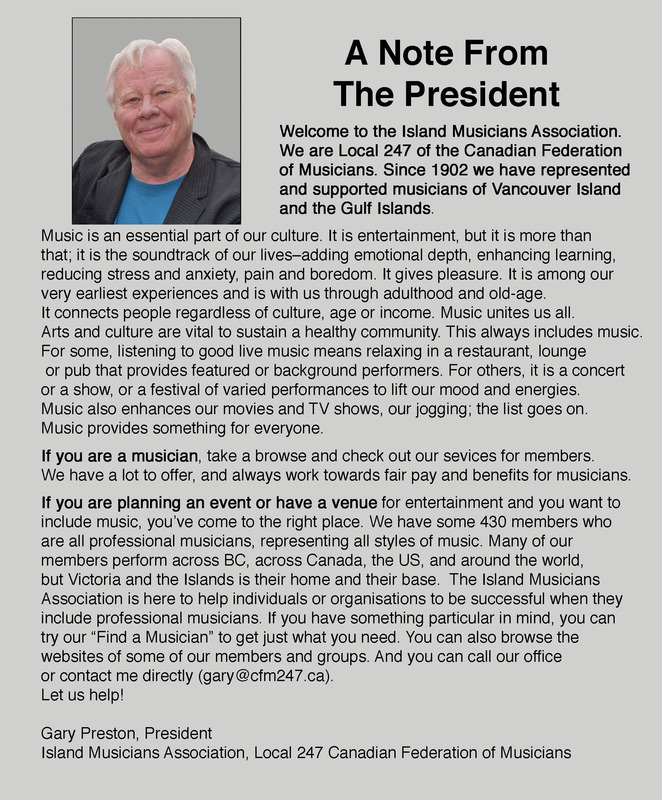 Also, check out our Member Websites. Go to our Join and Services pages to learn more. Members in good standing can access the members' area here. You'll find our meetings schedule, Tariff of Fees, Contract forms, our members list & more. Don't have a password yet, or forgot yours? Click here. Click here to pay your dues or make other payments online. We can help CFM members get the appropriate visa to perform in the United States. Click here to learn more about playing in the USA. 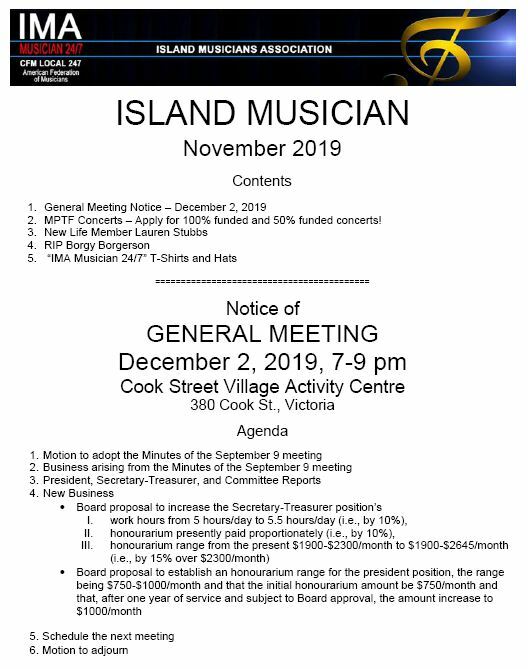 All material on this website ©2003 – 2019 by Island Musicians Association, Local 247 Canadian Federation of Musicians. Please contact us for permission to use the material on this website in any form.